This blog is instrumental in our healing process, but just like everything else, it’s work. In the early days after Kyleigh passed away, sitting down at the computer and furiously typing was therapeutic. Our minds were racing with so many thoughts and emotions, and while blogging seemed the opposite of what two very private people would do, we quickly realized it was what we needed to get our minds to slow down and process what was happening. After a year or so, the writing slowed down. The thoughts were still there, but let’s face it…life does continue to happen and we wanted to be a part of it. Our older children were growing up, starting school, becoming interested in activities and we had to be present in all of that. Kyleigh continued to always be a presence in our thoughts, but the healing that took place from our early writings led to more pauses. We also began to work through many of the thoughts and emotions in our minds while doing daily activities…cleaning the kitchen and doing laundry are great times to have internal conversations! Many of these thoughts never made it to paper because we often worked through them before we had a chance to sit down and write. Two years later, Kyleigh’s baby sister came along and well…a new baby in the house doesn’t lend itself to sitting down at the computer for more than five minutes at a time. This was a time of transition for our family in many ways. A lot of emotions surrounded all of us with a new pregnancy. Many of those emotions carried with us through the pregnancy and birth. I have read several pregnancy loss blogs that take a huge turn away from grief and loss when a new baby is on the way. It then becomes all about that new child in the family, and while that may be the intent of some writers, that is not what we wanted to happen here. The blog essentially went dark during this time as we didn’t think it was fair to those who were grieving a loss to hear all about a new baby. And again, let’s face it, there aren’t enough hours in the day to do everything we want to. Somewhere between that first and second year, we turned to Facebook and started the Kyleigh’s Gift FB Page. It was, and continues to be, the easiest way for us to get information out there about the Kyleigh’s Gift Fund, share our feelings and emotions throughout the year, and continue to honor Kyleigh through holidays, life events, etc. 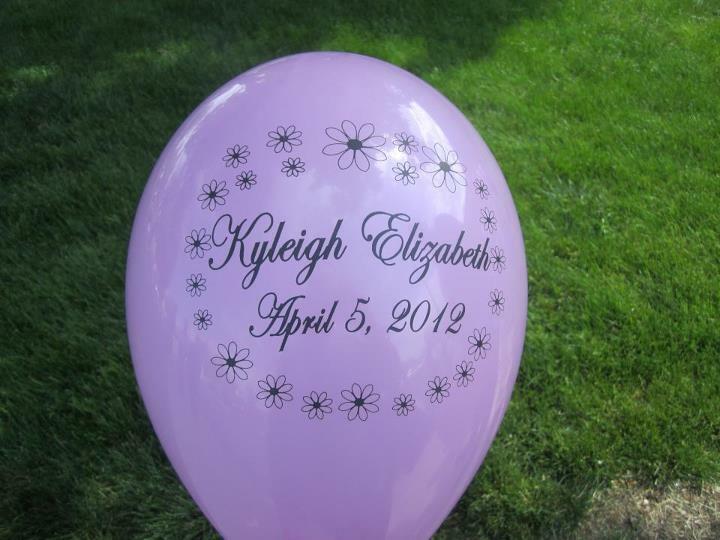 We would log in to the blog every six months or so and post important updates, mainly about Kyleigh’s Birthday Diaper Drive and the Kyleigh’s Gift 5K/3K. Both have produced tremendous results that I hope to share with you soon. I personally started to struggle with the blog after a period of time. I became almost obsessed (and I’m not kidding) about watching the stats. How many people viewed the website this week? How many people read the latest blog? Did anyone comment? How many times was the post shared? It became upsetting to me if we took the time to write or update the website and only a handful of people viewed it. I knew the purpose of sharing Kyleigh’s story was not this, but with the technology made available to us today, it was so easy to get sucked in to the “numbers.” This certainly attributed to backing off of the blog and having the distractions of daily life made it easier to set it down for awhile. So why the sudden return? Well, I can’t say for sure that this is a true return to blogging, but I do hope to keep the site updated. Like I mentioned above, so many wonderful things are happening with the Kyleigh’s Gift Fund and this is a great way to document all that is taking place. One of my favorite blog posts that I’ve done is the 2013 Year in Review. I wish that I had kept doing this. I tried the next year, but because we had posted so few things to the website, it was hard. Scrolling through a years worth of Facebook posts is not easy! Maybe I will make that my goal this year, as it’s a great way to catch everyone up on what is going on. At the end of the day, I’m exhausted. My children are my full-time job and that includes Kyleigh. There are times throughout the year where the mental exhaustion is just as strong as the physical. We spend 5-6 months getting ready for the Kyleigh’s Gift 5K/3K and when it’s all done, we are just as mentally exhausted as we are physically. So many emotions go into an event like that and when it’s all done, we honestly just need a break. My hope is to continue with the Kyleigh’s Gift Page while slowly starting to reintroduce this website/blog. You certainly won’t see me on here everyday like some bloggers, but I’ll do my best to add this back in to my full-time job.